Are you a photography enthusiast looking for a great camera online? If yes, then you will probably be having a hard time deciding which camera to go for. The technical specifications might be beyond your understanding. Thankfully you have digSLR to go to. digSLR is a free to use website. Its main aim is to give visitors dslr camera reviews and ratings from experts as well as everyday camera users. This way the average person searching for a good camera can understand a camera’s actual worth and value. The cameras on the site are given scores based on a 5-point scale, 1 being the lowest score. You can see how many reviewers of the camera gave it a particular rating. The reviews can be read by clicking on a camera entry. 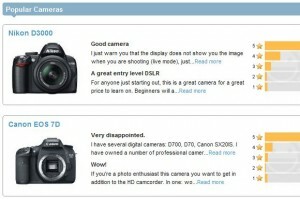 Find different Dslr camera reviews and comparisons. Rates the cameras on a scale of 1 to 5. 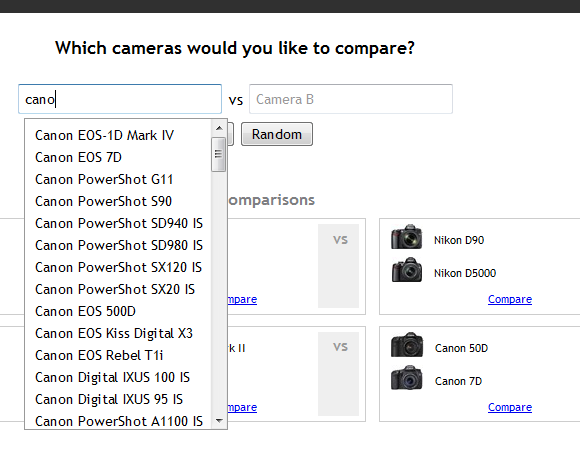 Categorizes cameras according to their companies. Contains photography tips and tutorials. A very useful website for photography enthusiasts. 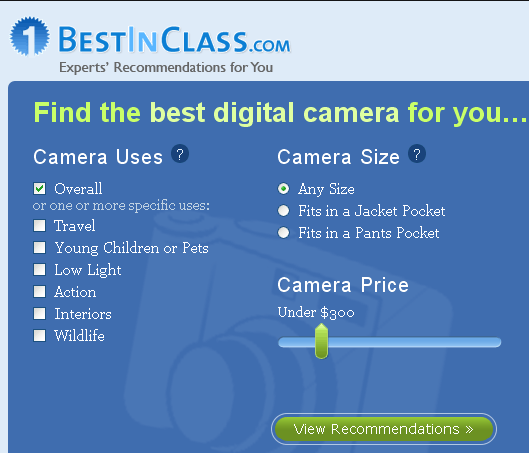 BestInClass is a new digital camera recommendation website which can help you pick the bets camera that suites your preferences. You simply provide what you want and it will match your preferences with the recommendations of unbiased experts, professionals and hobbyists in the photography industry. To get recommendations simply provide some details on how you intend to use the camera, the camera size and how much you are willing to spend on it. 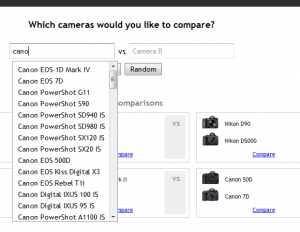 The site will then present with you a list of cameras selected by professionals. 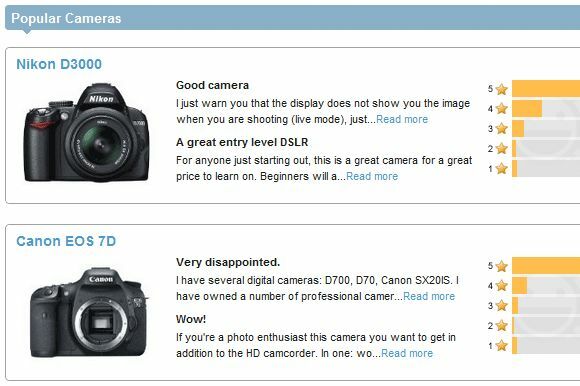 You can read reviews for each camera and also check reviews pulled from Amazon and other sites such as DPReview and CNET. Moreover you can sort recommendations further by brand, price, size, color, type and image capture. 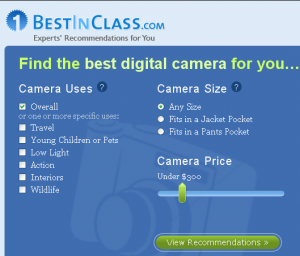 BestInClass currently focuses only on digital cameras and has around 750 individual camera selections, with more being added weekly. Other consumer electronic products such as laptops and flat screen televisions will be added in near feature. Get digital camera recommendations from professionals. Read reviews of professionals for each camera. Reviews from Amazon and sites such as DPReview and CNET are also included. Sort results by brand, uses, price, size, color, type, image and capture.